If your family's decedents hailed from Asia, you were most likely served a form of rice water, called hsi-fan or congee, for breakfast or as a healing tonic to revive your energy. 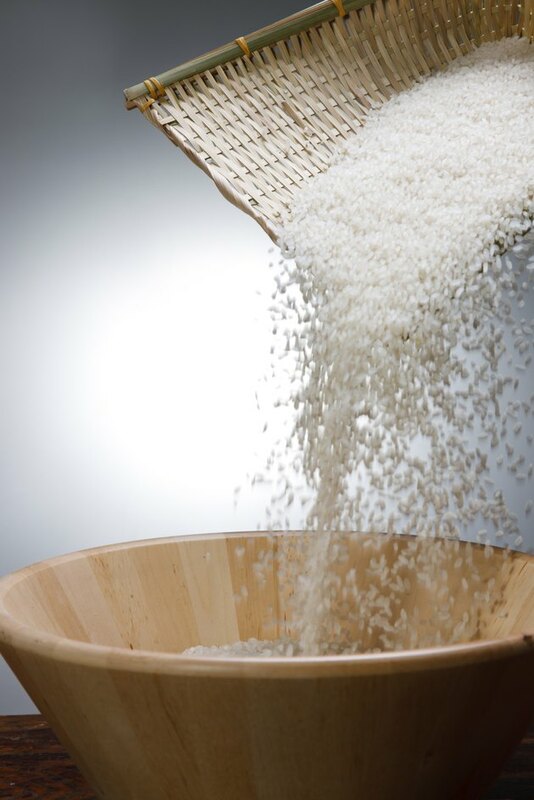 While cooked rice water has the rice removed and traditional congee uses a small amount of rice cooked in a large amount of water, both versions are thought to be medicinal nourishment as well as a weight-loss tool, according to "The Book of Jook: Chinese Medicinal Porridges: A Healthy Alternative to Western Breakfasts," by acupuncturist and expert in Chinese medicines Bob Flaws. Place 1 cup of rice in a sieve and rinse under running water. Transfer the rice to a pot along with 4 cups of water. Cook the rice until it is done, according to package directions, then drain through the sieve while mashing the rice. Reserve the water in a glass. Add salt, if desired, then sip the cooked rice water throughout day. Cook 1 cup of rice in 4 to 7 cups of water, depending on how thick you prefer your porridge. Cook either overnight in a slow cooker, or for two to four hours on the stove over low heat. Add lean meat, egg, vegetables or eat the congee plain. Reduce your overall caloric intake by replacing one meal per day with congee. If a typical meal was previously 650 calories and your congee is 150, your 500-calorie daily deficit will produce weight loss of 1 pound per week. Increase your daily activity level to lose weight. For example, if you weigh 165 pounds and dance aerobically at a vigorous pace for one hour per day, you will burn an additional 524 calories, possibly losing an extra pound per week. Include other aspects of the Asian diet in your weight-loss plan, such as eating plenty of fresh fruits and vegetables, eating more whole soy products, eating fish often and drinking green tea with your meals to lower your risk of chronic disease by up to 65 percent, according to University of California San Francisco Cancer Resource Center. Experiment with how much water to use when cooking congee. More water will result in a thinner, more soup-like consistency, while less water will produce a porridge more closely resembling the consistency of oatmeal. Consult your doctor before beginning a diet or exercise program.